Desiring something unique and getting it is yours right but the true point is getting your desired dreams. 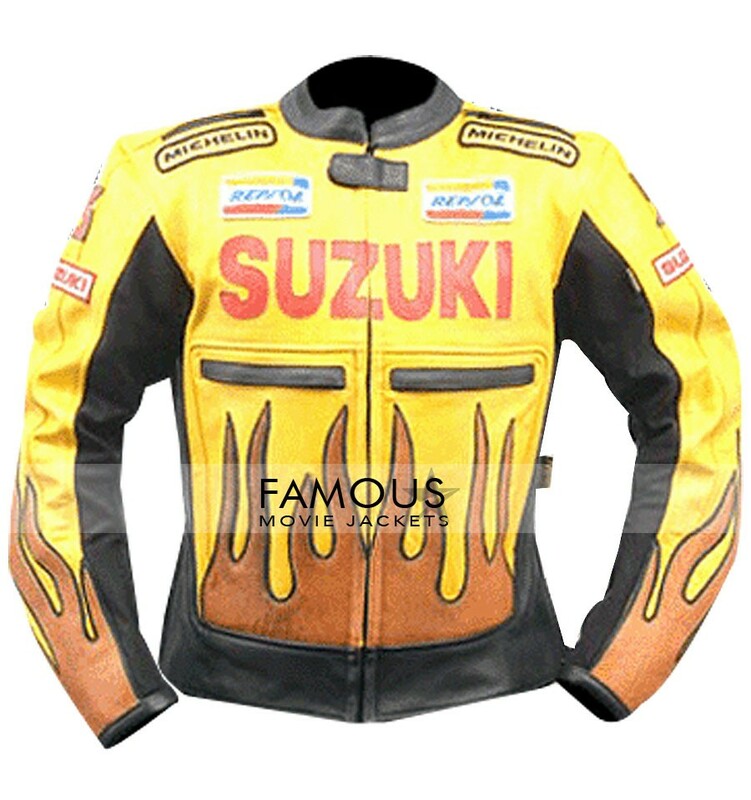 The biggest dream of a normal guys is to wear hot clothes and getting leather jackets on their body is pure thinking because leather jacket style is the only thing which boosts personality in a short time among his/her circle.Traditional leather jackets with old styles is an old thing now in our thinking.Bikers are just a point of inspiration for us now because of his versatile clothing sense makes them too distinctive and pure from all normal guys the best leather cloth is here now Suzuki Repsol Orange Black Biker Leather Jacket with sensational YKK zipper in front for closure and their dynamic looks with ultimate pockets and Yellow shine collar and YKK zipper in front for closure.Get it now before its too late to order. All the friends were so freaking attracted when i wore it in a party last night.I wishes i can have some more pieces for my brother.You guys are great.